Everything your business needs know about mileage tracking. 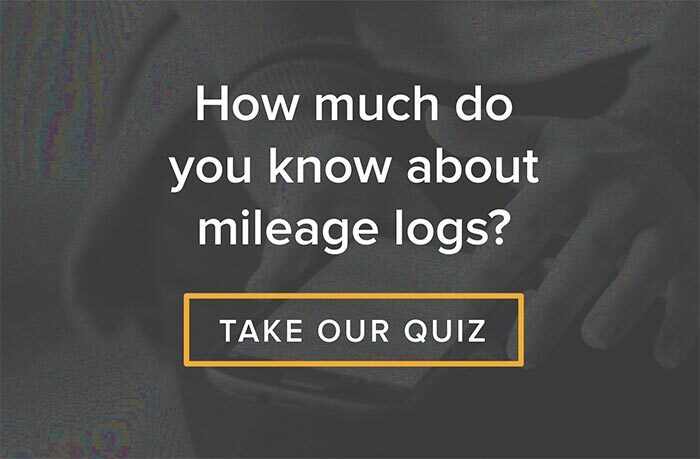 As America’s workforce has turned increasingly mobile and technologically has advanced, mileage logs have taken increasingly diverse forms. What do they all have in common? Simply put, a mileage log is any tool that can be used to store such data as trip date, business purpose, origin, destination, and miles driven. Each form has come with its advantages and disadvantages, and each remains an option for companies today. 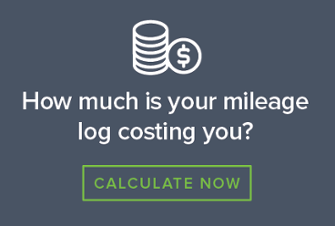 But when considering a) whether to track mileage, and b) how to track mileage, it’s important to understand on a basic level why mileage tracking is important, and how the choice of a mileage log can impact an organization on multiple levels. Let’s start with why tracking mileage is important. 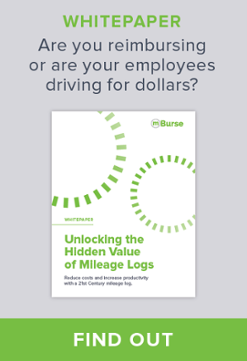 Mileage logs are a necessity for organizations with mobile employees—that is, workers whose job responsibilities require a vehicle. The mileage log substantiates the business use of a vehicle to avoid taxing employees and to allow the company to write off reimbursements as a business expense. In other words, if you want to provide a tax-free reimbursement, you have to record employees’ business mileage—unless you want to track every single individual business expense. When it comes to off setting employees’ business expenses, the IRS distinguishes between accountable plans (tax-free reimbursement) and non-accountable plans (taxable compensation). In order to meet the criteria for an accountable plan, you must prove that all payments to an employee—whether via a monthly car allowance, a mileage reimbursement rate, or a fuel reimbursement program—constitute reimbursement for business expenses, and not compensation. In order to prove that these payments are reimbursements, you have to prove that the payments do not exceed the business expenses incurred by the employee while operating a vehicle. A mileage log is the only way to prove this without resorting to the tedious process of tracking each employee’s individual expenses. If you provide a gas card or gas reimbursement for mobile employees driving personal vehicles or company cars, you are required to capture the business mileage. Otherwise, there is no way to determine how much fuel was used for business purposes and how much was used for personal use. If you don’t track the business mileage, then the gas will be considered personal use, making any expenditure for the gas taxable for both employer and employee. Let’s say you do keep track of mileage, but employees report it from their own records every few months, rather than using a company mileage log. In this case, your plan would still be considered a non-accountable plan under IRS rules. The mileage log must be up-to-date. The IRS requires that mileage be recorded within a reasonable amount of time after a trip has occurred. This means you cannot calculate mileage 4-6 months after a business trip. Contemporaneous mileage tracking is best practice. In other words, you should record the mileage the same day that the trip occurs. At the very least, the IRS mandates that mileage logs be less than 3 months old. You keep the records, not the employee. The IRS designates the employer as the custodian of record, requiring the employer, rather than the employee, to keep records of mileage. Because the employer is paying the fuel costs or reimbursing the mileage, the employer assumes responsibility for the record-keeping. This makes sense when you consider that the employer is using the mileage log to prove business use for tax deduction purposes. Maintain a mileage archive. The IRS requires a company keep mileage records for five tax years after filing a tax deduction based on business mileage. 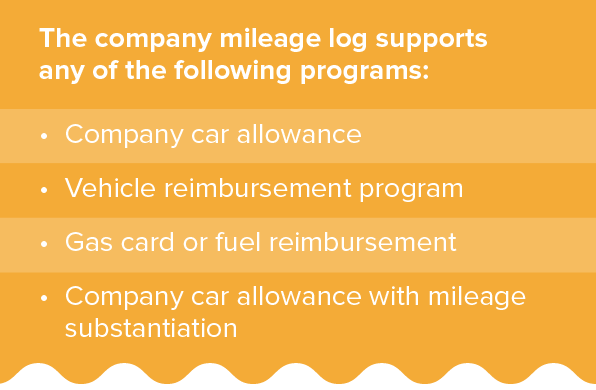 The bottom line: If you want to provide tax-free reimbursement to your employees, whether in the form of a car allowance, a mileage reimbursement, or a fuel card/reimbursement, you need to use a company-provided mileage log that is accurate and properly administered. The type of mileage log available has always depended on current technology. Originally, mileage logs were paper books to store entries that included date, business purpose, origin, destination, odometer readings, and miles driven. You could purchase mileage booklets at office supply stores and convenience stores. In the mid-to-late 1980s, computers revolutionized the mileage log book. Many organizations began storing mileage in spreadsheets like Microsoft Excel. Recording mileage remained a time-consuming process because it still involved keeping a separate log and inputting data each week or month into the spreadsheet. However, spreadsheets saved time by automating the arithmetic and brought the convenience of electronic record-keeping. In the early 2000's mileage logs evolved again. Companies adopted specific programs to track and reimburse the employee. Some of these expense systems relied on odometer readings to track mileage. Expense systems soon began to integrate with Google Maps to calculate and record mileage. For any particular trip, all the driver had to do was enter a starting address, a destination, and a description, and the expense system did the rest. Integration between technologies accelerated in the 2010s. Several companies began developing mobile apps to store and calculate mileage. Some of these apps continued to rely on Google Maps and manual inputs, but others have emerged that use GPS tracking to automatically calculate and record mileage. All the driver has to do is press “Play” on his or her smartphone. Many companies, however, have yet to adopt these integrated mileage platforms. This matters. A lot. 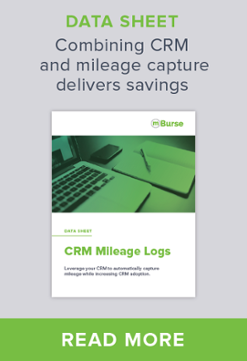 To understand why let’s look at each of the available mileage capture methods and consider their possible impacts on an organization. As you can see, the older methods tend to tie employees up with redundant, time-consuming administrative tasks and create loopholes that make it nearly impossible for management to control costs. However, many organizations have been slow to adopt newer technologies that streamline the mileage capture process. Employees don’t like to be tracked or feel that “Big Brother” is watching over their shoulder. Many organizations have worked hard to build trust with employees and are understandably hesitant to sacrifice trust for higher cost control. No approach has achieved perfection, but when you consider the consequences of sticking with one of the older processes that involve self-reported mileage, you find that concerns with the latest technology pale in comparison. For decades, nearly all mileage logs relied on self-reported mileage (manual entry and calculation). While self-reporting can take many forms, no form can eliminate the costly problems inherent to self-reporting. Accuracy is necessary for effective mileage capture. But self-reported mileage relies on humans who are prone to error and may not always act honestly. You can switch from a paper logbook to an Excel spreadsheet that automatically and accurately adds up mileage, but you’re still relying on human beings to input accurate trip data in the first place. 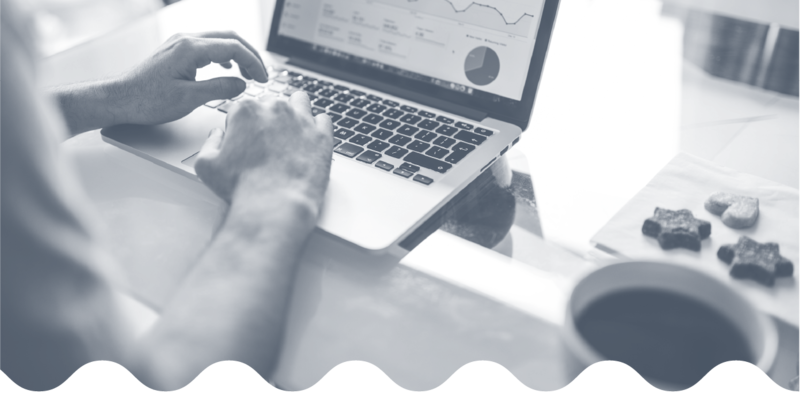 You can reduce redundancy and opportunity for errors by using an integrated expense system, but as long as the calculations rely on human-provided data, there’s still room for mistakes and dishonesty. Let’s face it—mobile employees are tasked with a wide variety of time-consuming responsibilities. As rational beings, they will look for shortcuts. We all do this. Some of their tasks may include keeping up with internal reporting, CRM management, generating weekly reports, and more. 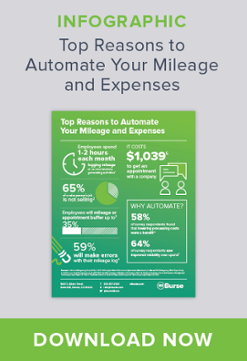 When employees are tasked with calculating business mileage, costly shortcuts occur. You can be assured that if a mobile employee makes an error with their mileage, the error will be made in their favor. Even small errors or slight over-estimates can add up significantly over time across a large organization. When employees self-report, it’s very difficult to test their accuracy. How do you catch errors in mileage inputs or discern whether a trip occurred in the first place? Can you afford to task management with this level of time-consuming oversight? Many organizations find themselves at the mercy of employees *hopefully* doing the right thing when it comes to mileage capture and calculation. This is a costly proposition. As a result of the 2019 IRS mileage rate increase to $0.58 cents per mile, a three and a half-cent jump, mileage is not more important. Every other extra mile costs the company an extra dollar-plus. Do the math. If you have dozens or hundreds of mobile employees, all of whom are prone to error, and some of whom are dishonest, that dollar every other mile becomes thousands of dollars annually. Paper logbooks and Excel spreadsheets obviously require significant non-revenue generating time. But even expense systems do not fully solve this problem. This is a very inefficient process and leaves the door open to human error. Google Maps cannot solve the self-reporting problem. Even if mobile employees utilize mapping software like Google Maps or MapQuest to determine the trip distance, accuracy can still suffer, and inefficiency can still result. Mapping tools by default look for the shortest time between point A and point B. Often the shortest route takes the least time, but interstate travel can make a longer route the fastest. And what if an employee takes an alternative route because of traffic, construction, or weather? They are left to add mileage to make up the difference between the actual route and the Google Maps calculated mileage. Or they must undertake the time-consuming process of creating a customized route in Google Maps. True, utilizing mapping software takes less time and delivers higher accuracy than other manual forms of calculating mileage, but it cannot fully solve the problems inherent to self-reported mileage. Nearly everyone has used GPS to navigate on a trip, whether with a Garmin device or an iPhone app. The Global Positioning System has become a part of everyday life in America, and it’s quickly becoming the most accurate and efficient way to record mileage. GPS devices communicate with a network of satellites to precisely pinpoint the device’s geographic location at any given time. The Department of Defense began developing what would become the GPS system in the 1960s to improve navigation and to track nuclear submarines. In the 1980s, the airline industry became the first commercial users of GPS. By the 2000s, the shipping industry had adopted GPS to track packages. And now nearly everyone seems to be using GPS devices to get around. And that means nearly everyone can be tracked as they go about their business. And there’s the rub. Who wants to be tracked like a FedEx package or a nuclear sub? There’s no way around it: GPS mileage tracking remains the most efficient, easy, and low-cost option for mileage capture. There’s no easier way to comply with the IRS mandate of “fresh” mileage logs. When it comes to calculating mileage, there is no better substitute to calculating the mileage based on the actual route. It is very diffcult for employees to make up a trip or mileage using GPS. Plus, GPS mileage tracking leverages existing hardware. Mobile employees all use a mobile phone and/or tablet already, so why not employ these tools to track mileage and eliminate the problems with self-reporting? Edward Snowden. The NSA. Facebook. Big Brother. These are scary words to many Americans. People living in the 21st century face an unprecedented awareness of ways they can be monitored by powerful organizations. No one wants their boss added to that list. Or do they? An independent survey conducted by TSheets in 2016 found that only 5% of workers who had been tracked by employers using a GPS system had a negative view of GPS tracking by an employer. In fact, 54% had a positive view, with the rest feeling neutral. On the other hand, among employees who had never experience GPS tracking by an employer, 38% had a negative view, and only 16% had a positive view. Overall, employees expressed concerns about privacy, micromanagement, and being tracked after hours, but ones who had been tracked found their concerns largely alleviated. Instead, they were more concerned about battery and data usage. It makes sense that people don’t want their employer to have real-time access to their location, especially if that location might cause bias or discrimination. A lot of people get into sales for the flexibility of schedule and don’t want to have their daily schedule scrutinized. But it turns out that these concerns tend to dissipate if an employer uses GPS tracking in ways that clearly protect employees’ privacy and that don’t lead to micromanagement. 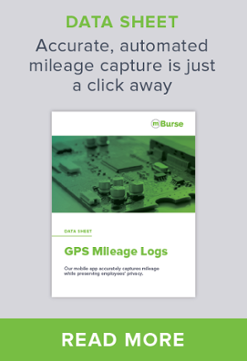 In order to realize the benefits of GPS mileage logs without driving employees out the door, it’s important for an organization to choose an appropriate GPS app and put in place guidelines for appropriate use. 1. Choose a GPS app that delivers only business mileage data to the employers. Drivers should be able to edit trips and designate certain portions as personal so that no data about these trips will be sent to the employer. The GPS app TripLog, for example, never shares real-time location data with employers, allowing users to designate personal mileage before any data is sent to the employer for reimbursement purposes. Drivers should also be able to turn off the app if necessary. 2. Set clear boundaries for acceptable use of the data you receive. Just because you have data on your employees’ whereabouts during business travel doesn’t mean you have to have a conversation about every detail. The primary purpose of the GPS app is to provide accurate mileage tracking for reimbursement and tax purposes. Using a GPS app can help boost productivity simply by providing greater visibility of employee work habits. It is standard for most organizations to monitor employees’ usage of the internet on company devices. The simple fact of monitoring discourages unproductive internet use without needing to lead to micromanagement. It’s all about how you use the data. 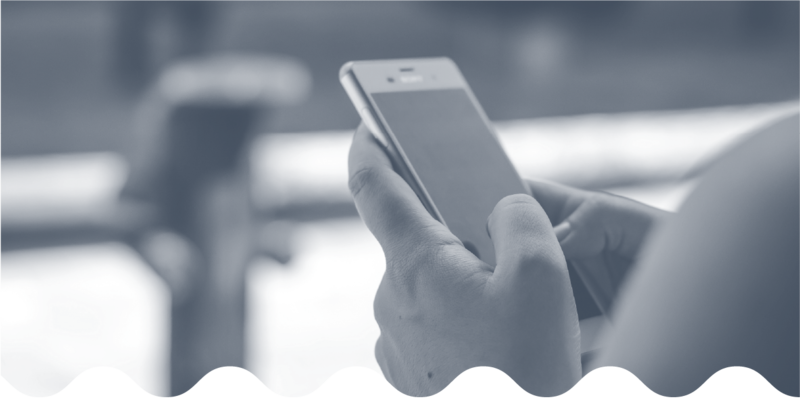 An additional benefit of using a mobile app for a mileage log is the way it can integrate with existing software that the company wants employees to use. Oracle, and NetSuite. CRM's generate indispensable data, revealing what’s working and what isn’t. Unfortunately, many employees treat these powerful tools as mere electronic Rolodexes. Smart companies figure out how to ensure total CRM adoption and utilization. Their secret? Integrating CRM with existing tools that 100% of employees already use. Mobile employees all carry mobile phones. Most of them also log business mileage. This is where a mileage tracking app comes in. Mobile apps now exist that not only track mileage using GPS but also integrate seamlessly with CRM software, automatically feeding information about each trip into the CRM. Employees see the value of being reimbursed for the business use of their personal vehicle. Tying their reimbursement to the use of a mobile app that integrates with the company’s CRM will produce 100% adoption. GPS offers an incredible tool when used for mileage capture. But users may still experience some drawbacks. The next generation of GPS satellites, known collectively as GPS III, will bring a new level of precision and effectiveness to GPS. 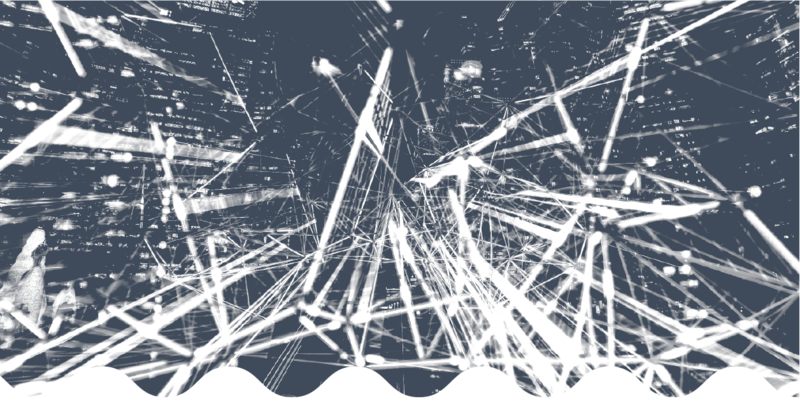 Because GPS devices must communicate with satellites, large structures can block signals and weaken performance. Cities with tall buildings can effectively become “urban canyons.” Similarly, rural valleys can limit the effectiveness of GPS as mountains and hills block signals. Over the past few years, we’ve seen rapid improvements to ground control and to signal receivers. But the existing constellation of 31 satellites are diffcult to retrofit and have not kept up with the ground technology. Many of these satellites have aged long past their 7.5-year design-life. The U.S. Air Force contracted with Lockheed Martin to develop GPS III as an entirely new satellite design that will revolutionize the use of GPS tools and products. With more powerful signals, an expanded navigational payload, and a 15-year life expectancy, GPS III will vastly improve accuracy while extending the useful orbit life of the satellites. GPS III’s signals will be three times as accurate as current satellites. The U.S. government is in the process of adding new civilian signals to the existing civilian signal. Most notably, signals L1C and L2C will markedly improve user location and reduce the “urban canyon” effect and the blocking effect of mountains and hills. The first two satellites are being launched in 2018. Lockheed Martin is currently in production for eight more satellites to be brought into service. All ten should be operational by 2023. With GPS III on the horizon, now is a great time to switch to a GPS mileage log and leverage this increasingly powerful technology. While most organizations have long since left paper mileage logs behind, Microsoft Excel spreadsheets remain a go-to for many organizations. Spreadsheets are easy and require no research into new technology or training of employees. In the 21st century, you need a 21st-century mileage log. Take the time to explore your options. New apps are being created on a regular basis. Technology continues to progress. Increasing numbers of organizations are switching to mileage apps.